I can't believe it's July already! Where has this year gone? Before we know it it'll be my favorite time of the year again... Christmas! Lately I've been noticing in my daily life there's a few things that I need or want to restock up on and I thought I'd share them. Thinking of the holidays has made me want to start a list of people to shop for and items to get them. Maybe that's why I've made a list of things I'm wanting to get and restock. So without further ado here's my five things I want/need for daily life. 1. 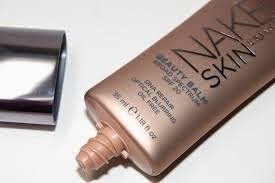 Urban Decay Naked Skin Beauty Balm. This stuff is amazing. When I first bought it, I was a little skeptical. It comes with a price tag in the 30 dollars range so to get it and not like it would have been a huge disappointment. I ended up loving it though. I'm draining my second tube of it and I'm afraid it won't make it much longer. It comes in one color and forms to your skin type. It also covers any imperfections but doesn't feel like heavy duty make up on your face. I have really sensitive skin and it doesn't cause my face to break out which is a major plus! 2. 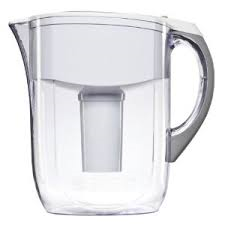 Brita Grand Water Filter- 10 Cups. Ok I'll admit it. I'm still buying cases of water weekly. I know, I know. Shameful. I know that I need to buy a water filter and save the earth from all of those plastic bottles but I just haven't yet. I know that I'll save money in the long run but the initial cost is kinda pricey. That's why I haven't bought it yet. Those four dollar cases of water are much cheaper. I think the 10 cups would work really well in my fridge and for me each day. Fine... another confession... I'm still paranoid about drinking tap water even with a filter. Ek! Who doesn't love spring water?! It's been forever since I bought new underwear. While I do love Victoria Secrets underwear they can be a little pricey. I've found some great pairs at Target that are so comfortable. I really need to invest in some new pairs and go through the ones I already own and discard the ones that don't fit anymore. The thought of bra shopping... oh geez! I don't even want to deal with that one right now. 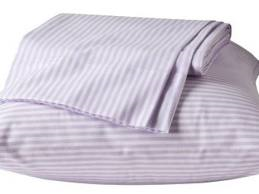 I don't know why but finding perfect sheets is the hardest thing to do. I've had a purple sheet on my bed for about two years now and it is the softest thing. I wish I could find the company or brand that made it before but the tag is gone! Suggestions? I'm not a fan of silk or flannel. When my mom was in town, we shopped at a few antique stores. 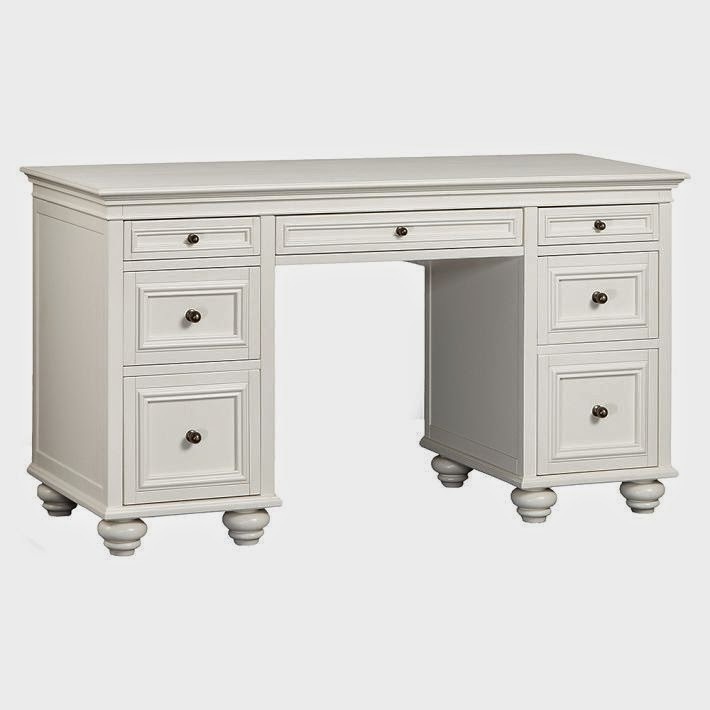 In one of the stores I saw this fabulous, old antique white desk. It had tons of drawers and was the right height and style. It needed a little paint but I loved it. It was more money than I could spend that day but I can't stop thinking about it. I'm hoping they still have it in a few weeks when I can purchase it. It would make a great vanity or simply a desk. I have visions of blogging at it or putting makeup on in front of it. I love my Brita! I still occasionally buy water when I'm out, but it's great for at home, and doesn't taste like tap at all! Ahh, underwear. It's funny - I refuse to spend money on it, yet I am 34 and I have owls on my underwear. So, I think it's time to step it up! I just stock up on undies every time Vickie's is having a semi annual sale. Save money PLUS lots of new cute things that'll last. I am a tap water drinker. The tap water in the US is totally safe. Our water district sends us info about all their practices and tests on the regular. I grew up drinking tap water that came out of Lake Michigan, though so . . . I have sheets from LL Bean. They are soft and they're still in great shape though we've had them for almost five years now. Undies! Yes! lol I was just telling my husband I have no idea why I am so cheap with them!? Ugh and bra shopping is terrible.